There should be no doubt, that I love Jindie Nails polish! For a week or so, her polishes took over my blog! :P I'm super excited to share with everyone her new "Santa Claws" collection. Normally, I would make each polish it's own post but, I wanted to get them up quickly so everyone could see them and run over to her etsy store and buy them for the upcoming season! Have no fear though, I will be splitting the collection into 3 posts, there is only so much swatching and acetone I can take in one day! Jindie Nails Just Elfing is pastel green, white and cherry red hex glitter mixed with silver and lime holo hexes all in a clear base. 1 coat of Just Elfing around was used over 2 coats of Orly Glitz. No base or top coat was used. Mrs. Claws is described as a berry pink linear holographic. All nails are 3 thin coats of Mrs. Claws with no base or top coat. Silent Night is a dark blue jelly base that has a purple/pink shimmer with various silver and blue glitters and silver holographic moons and stars. I used 2 coats of Silent Night with a top coat of Seche Vite and no base coat. 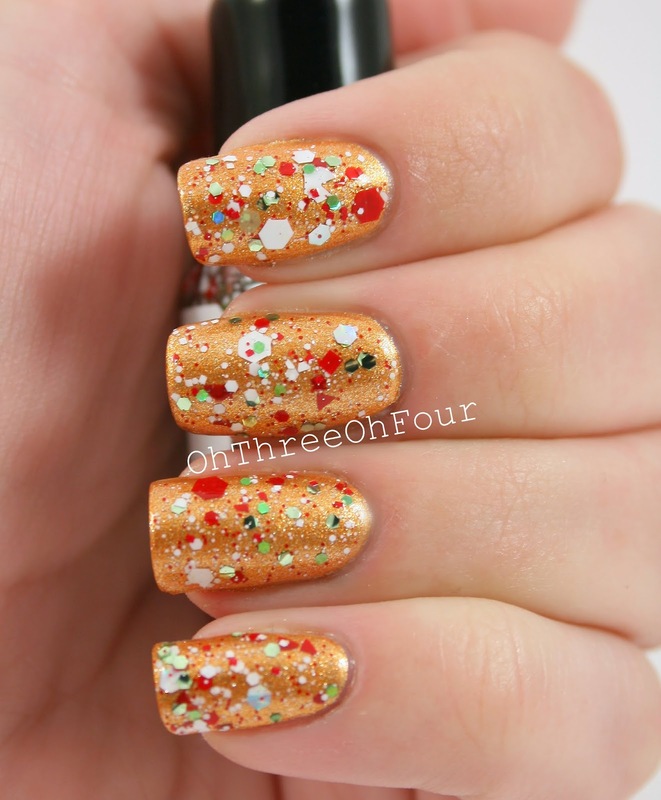 Jindie Nails Santa Claws collection was released today on etsy here! With the exception of the 2 holographic polishes in the collection (Mrs. Claws and Blue Blue Xmas), all polishes are $7.75 for a full size and $4.25 for a mini. Mrs. Claws and Blue Blue Xmas will be $11 for a full size and $5.50 for a mini. Find Jindie Nails on Facebook here and Instagram here. P.S. Check out Jindie Nails new logo! :) The same lovely lady who designed my banner, Hayley S., also designed the new logo. Go check her out if you want any graphic work!